Alexis in the front desk was great. He made us feel welcome since the beginning and helped us a lot during our stay in Marseille. He is the reason would go to another Adagio. Nice, clean apartment right next to train station. The french toast made by Julie at breakfast was delicious!! I loved staying at this hotel in a studio with a fully equipped kitchen! They even had a coffee filter .... I would prefer a kettle however but they had a microwave so that was ok. Everything was comfortable and I enjoyed my stay so close the the train. Station so I could Catch early buses and easy trip to airport bus! The fact they had a kitchenette allowed me to eat cheaply with the main road having a suitable supermarket. Town was a 15 minute walk. This was convenient to see the port and old town. All was easy to arrive at! They had a nice breakfast buffet that I didn’t eat but it looked delicious and coffee was delicious too. The staff checkin man was kind and friendly and spoke very nice french with me which I appreciate as I prefer the language to English and I relish the chance to practice! Very nice accomodation and super clean! No complaints! I liked the receptionist Alex with his humorist spirit and especially his German dog 😉, i would like to thank all the team there for their appreciated efforts they did a good job. Really friendly staff with good English, literally 3 mins walk from the train station, decent apartment for the cost. The kitchen was well equipped, spacious bathroom, two TV sets, quiet place, great location and nice staff. The staff was helpful and friendly. The rooms have great windows which really shut out the noise from the train station completely. Great location, literally across the station, very convenient and safe to catch an early TGV. Quiet and good insulation. 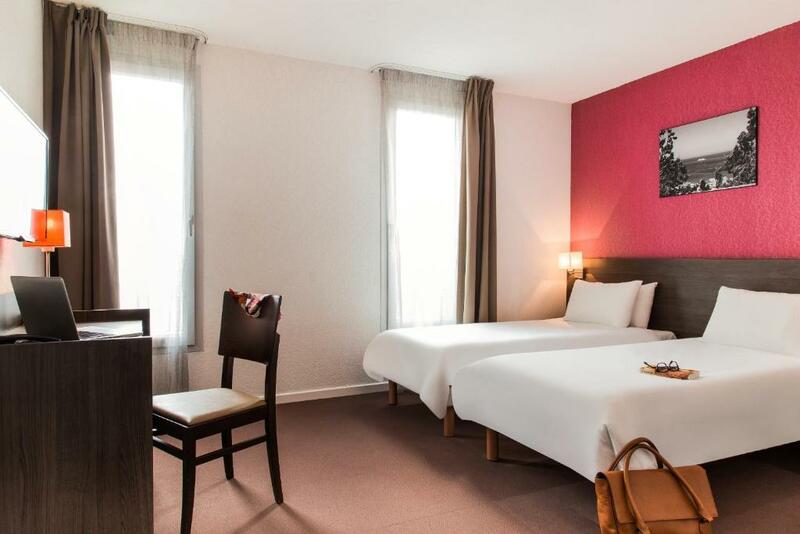 Located just 100 yards from Saint Charles Train Station, Aparthotel Adagio Access Marseille Saint Charles offers spacious accommodation. Marseille's city centre is just a 10-minute walk away. The modern air-conditioned studios and apartments have free WiFi and are serviced by a lift. 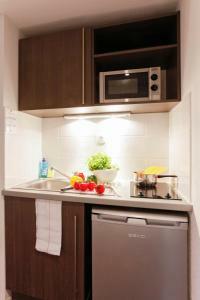 The fully equipped kitchen or kitchenette features a microwave and a refrigerator. A buffet breakfast is served every morning in the breakfast room and children from 4 to 11 years old can enjoy it at a reduced rate. 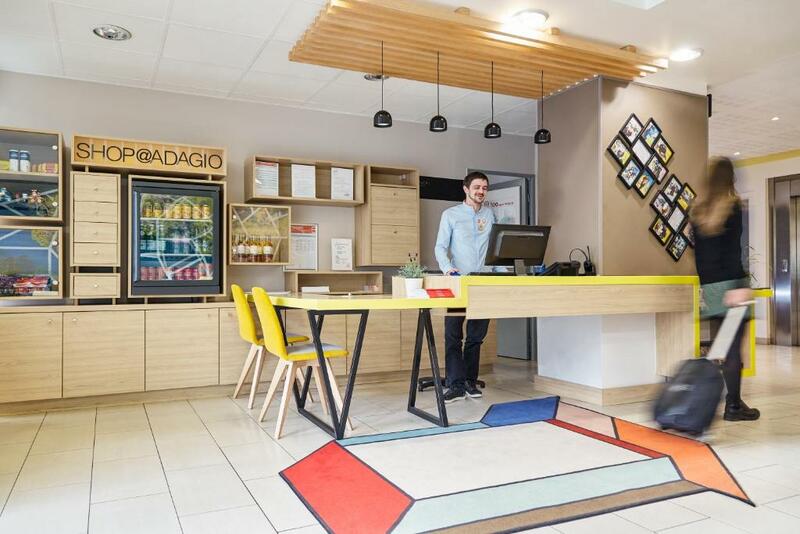 Additional facilities at Adagio Access Marseille Saint Charles include a 24-hour reception and private parking. The Old Port and Longchamp Park are both a 20-minute walk from this eco-friendly hotel. Marseille Provence Airport is 16.2 miles away, which is accessible by a local shuttle bus. This is our guests' favourite part of Marseille, according to independent reviews. 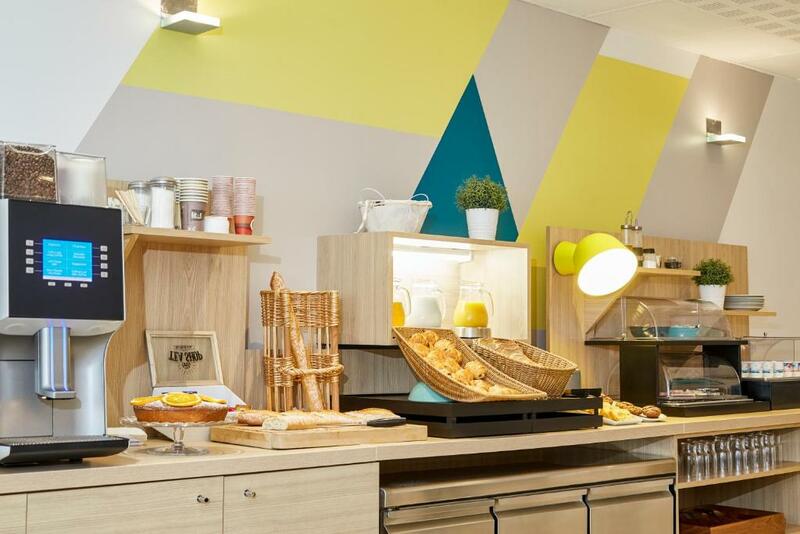 Aparthotel Adagio Access Marseille Saint Charles has been welcoming Booking.com guests since 25 Feb 2010. When would you like to stay at Aparthotel Adagio Access Marseille Saint Charles? This modern apartment is air-conditioned and includes satellite TV. There is also a kitchen, which is equipped with a stove and a microwave. This modern studio is air-conditioned and includes satellite TV. There is also a kitchenette, which is equipped with a stove and a microwave. This apartment has a kitchenware, sofa and cable TV. Aparthotel adjacent to Marseille city centre and the Vieux-Port, and 5 mn from the Friche de la Belle de Mai cultural complex. House rules Aparthotel Adagio Access Marseille Saint Charles takes special requests - add in the next step! 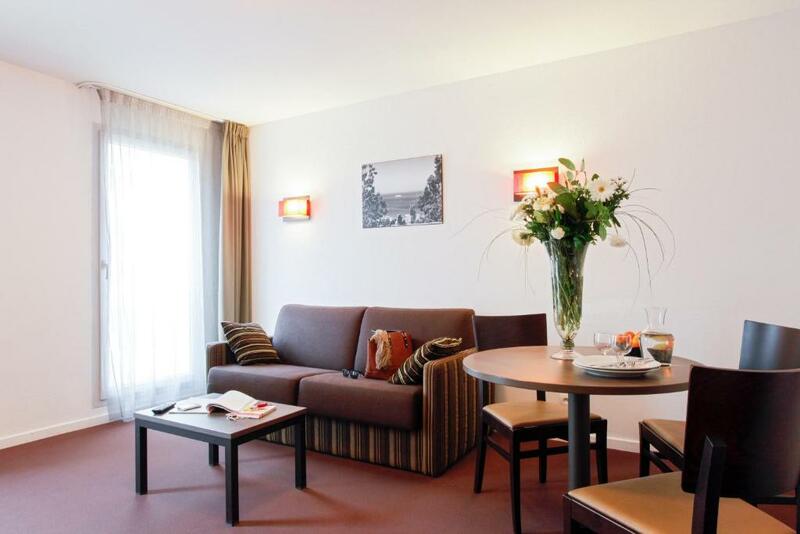 Aparthotel Adagio Access Marseille Saint Charles accepts these cards and reserves the right to temporarily hold an amount prior to arrival. Please note that parking must be reserved directly over the phone with the Apart-Hotel. One of the most picturesque neighbourhoods in Marseille! The smell and the apartment was not what i expected . Cleaning maintenance was not performed during our 7 days holiday. No TV remote control in bedroom . There was a cotton bud on the floor behind the sofa plus someone's cheap watch, surely would've been picked up if cleaned thoroughly. The breakfast could be more varied. It was very basic, no porridge or sausages for children.